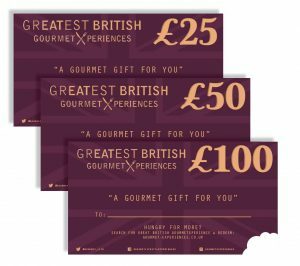 GREATEST BRITISH GourmetXperience gifts celebrate the accredited Chefs, Cookery Schools, Producers and Gourmet Breaks. Selecting independent Chefs, and highlighting their unique approaches to British sourced, sustainable cuisine. Each venue, school and exclusively created ‘GourmetXperience’ aims to make the special, eXtra special! Received a GourmetXperience Gift? Below is how to redeem. To Redeem: Simply email us via our contact form, requesting the venue and preferred dates and we will put them in touch with you. 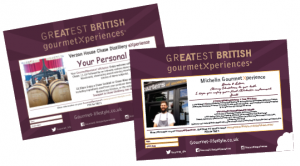 Also redeemable at our ‘GourmetXperience’ members – many listed on our website in ‘venues here‘ and in our GREAT BRITISH GourmetXperience printed guide. Not one to suit your tastes? New venues are being added daily. See below to register for more. Currently approaching 300! ALSO accepted at accredited Cookery Schools. See below. T&C’s here. 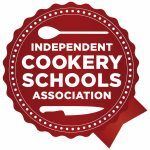 Useable as ‘cash’ against any selected courses at nearly 30 ‘ICSA Accredited’ (Independent Cookery School Association) Cookery Schools UK wide. 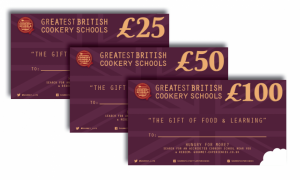 Each school has been independently assessed for quality training.To Redeem: Select your cookery school to redeem your vouchers Here. Then Email our contact form, requesting the venue and preferred dates and we will put them in touch with you. Also schools listed in the GREAT BRITISH GourmetXperience printed guide in the ‘LEARN’ section. These are eXclusively created with our partners to celebrate the Greatest British Chefs and cuisine. Each eXperience packaged up to offer eXclusive added value and British ingredients that money cannot normally buy. To Redeem: Read more about your hosting Chef or Venue here, then simply email us via our contact form here, detailing your GourmetXperience with unique reference code, and when and where you would like to redeem it. We will then put you in touch to book. T&C’s here. NOTE: See terms on reverse of all vouchers. Each subject to availability, non transferrable, non refundable. REGISTER: New venues being added weekly. If there are non available now to suit your tastes or location, do not despair. Register your email INCLUDING your unique ticket ref details, and location here, and we will inform you as new venues, features and GourmetXperiences are added throughout the year. There will be something, somewhere to suit everyone’s tastes. Thank you for joining the GourmetXperience network – Celebrating GREATEST BRITISH Accredited Chefs, Venues & Producers. Monies donated to nominated charities.